Ichthyosis vulgaris is a genetic disorder of the skin that results in chronically dry, cracked, and scaly skin that resembles fish scales. Though it is inherited persons with the causative mutation are born with normal skin – this disease tends to develop between three months to five years of age and worsen until puberty at which point it may slowly improve or stabilize. It is caused by a loss of function mutation in a single gene that codes for the protein filaggrin – an important component of the skin barrier. Without filaggrin the skin becomes excessively dry and scaly. 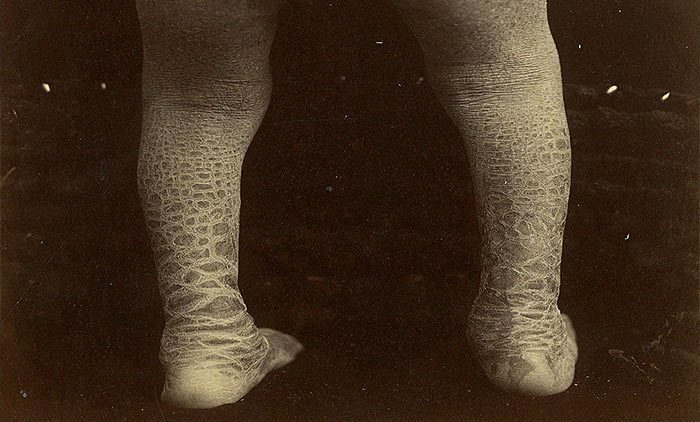 This condition is considered to be autosomal dominant – only one chromosome is required to have the mutation to cause the disease, though ichthyosis is more severe in individuals with mutations in both chromosomes. This disease can range in severity from patches of skin that appear only slightly dry to covering the full body in thick scale. It most often appears on the back of the legs and usually does not appear in skin folds such as the neck and armpits. For most persons with this disease their only symptoms are mild itching and changes in skin appearance. In more severe cases, however, this itching can become quite intense and the skin can become cracked and painful. Excessive scaling can block sweat, further intensifying the itching sensation. Ichthyosis is commonly associated with other dermatologic conditions such as keratosis pilaris and eczema. There is no cure for ichthyosis but it can be effectively managed. Key to any treatment is consistent exfoliation of the scales and frequent use of moisturizers such as lanolin and creams containing lactic acid, urea, glycolic acid, and other agents. Bathing in salt water and gently rubbing affected areas with a pumice stone can help remove the scales. In severe cases oral retinoids may be prescribed. Most persons with this disease find greater relief in moist and warm environments. Ichthyosis vulgaris is not the only form of ichthyosis – there exist numerous other forms that are all quite rare. They can be either inherited or acquired later in life. 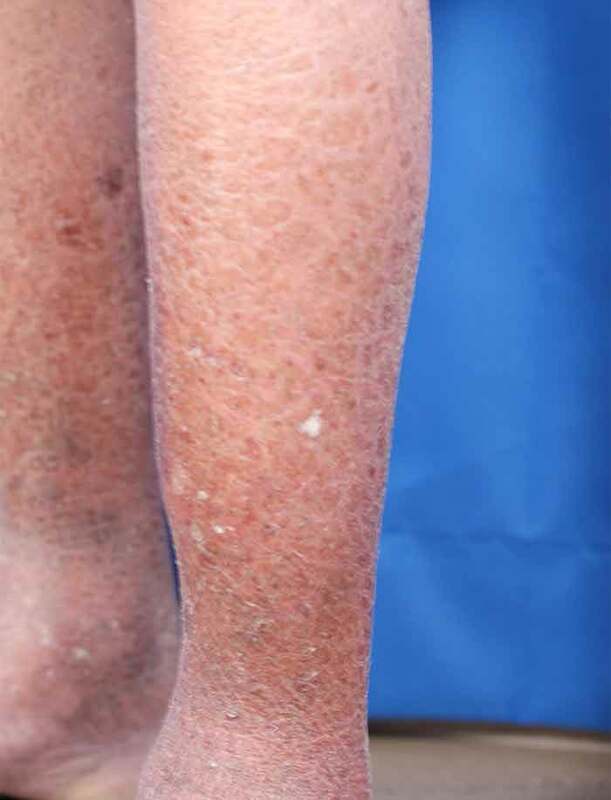 In either case, however, treatment is almost always the same as that of ichthyosis vulgaris.